Email marketing is the most economical and direct method to reach your customers. Create quick campaigns, import customer details and design effective surveys with Complete Cloud’s simple to use email marketing software. The section below provides answers to some of the most asked questions on email marketing. 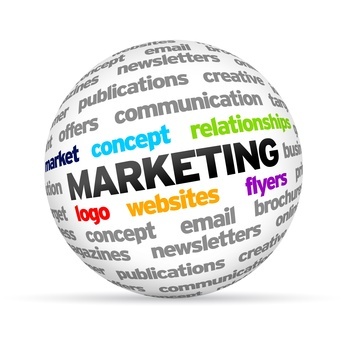 Email marketing involves marketing your business through email to a database of people. It is also referred to mass email marketing. A quality email marketing platform also has other features such allowing you to segment your customer database to allow you to target specific segments of your database with special offers. Other useful features include allowing you to create auto responders to automate some of your email activities. "How does email marketing work?" Recipients of email marketing must opt-in to an email marketing system and have agreed to recieve the email campaign. Email marketing campaigns are required to include an unsubscribe feature to allow recipients to be easily removed from the email marketing list. Sending bulk emails to recipients who have not voluntarily agreed to receive emails is known as SPAM and is against the law in Australia and most other countries. "Is email marketing still effective?" Email marketing campaigns when created and managed effectively are still one of the most effective digital marketing strategies available. Email marketing can increase or generate direct sales, build brand recognition and aid in customer retention by improving brand recognition. "Is it difficult to manage my contacts?" You can easily create contact lists to manage your contacts and importing existing contacts is a breeze. Contacts that no longer exist are automatically removed from your database ensuring your contacts lists are kept up to date without you having to lift a finger. "Can I prevent my emails from becoming SPAM?" After investing time into your marketing campaign, the last thing you want is for your audience not to see your email because it has been tagged as SPAM. Our email marketing software allows you to run a SPAM check that provides you with a SPAM score and highlights key words that could have you email flagged as SPAM. This provides you with an opportunity to check and modify your email, removing high risk words and giving you the best possible chance to make it to your audience’s mailbox. "How will my email look to users?" Your email can appear differently depending on the client your audience is using. Our client compatibility checker will show you what your email will look like in all of the major email clients including Gmail, Hotmail, Yahoo and Outlook. You can see what your audience will see in their inbox and tweak your email format to make sure it is appears the way you intended it to appear to your audience. "Can I see who clicked on my email?" Once of the most important aspects of sending an email campaign is looking at the key statistics of your campaign including open rates (how may people opened your email, which clients opened it) and click through rates (who did you entice to click on the links in your email). We provide live campaign tracking which includes detailed reporting of all your audiences’ activities from high level statistics down to individual user behaviour. This allows you to analyse the effectiveness of your email campaign, determine what works for your audience and improve your next campaign for greater success. "Can I automate my email activities?" Some email marketing activities that take your time can be a little mundane, why not automate them? Below are a few simple automation tricks our clients have fond useful. Set automatic auto responders that thank clients to subscribing to your newsletter from your website and sends them and introduction to your business. Add contacts directly to specific marketing lists depending on where they subscribe to your emails. This automatically creates segmented contact lists allowing you to better target your customers in future campaigns. "Can I get help with improving my campaign?" At Complete Cloud we are here to help you through your email marketing journey and have helped our customers achieve their goals through countless campaigns. Whether you need help defining what you want to achieve or need help achieving great results, contact us to see how we can help you.